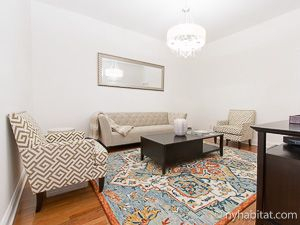 This is our reference NY-17371. 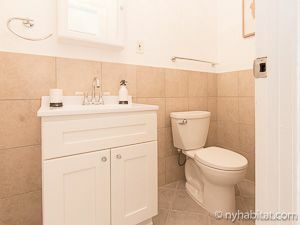 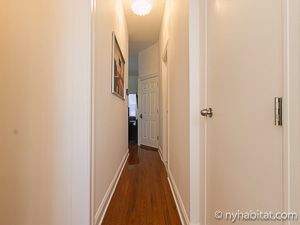 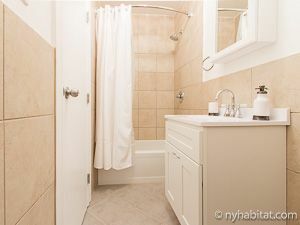 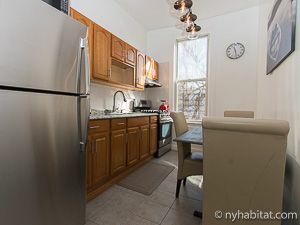 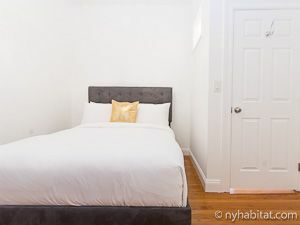 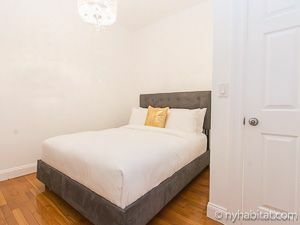 You will find this fully furnished two bedroom apartment with extra sleeping alcove in the New York City borough of Brooklyn. 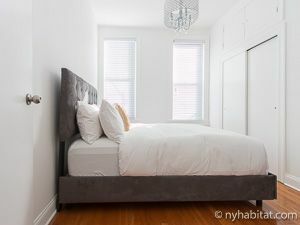 Located on Cornelia Street between Bushwick and Evergreen Avenue, it is on the 2nd floor (considered 1st in Europe) of a walk-up townhouse. 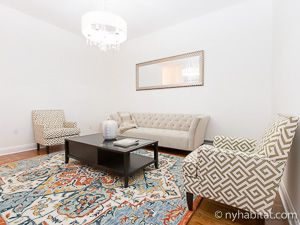 Upon entering this furnished rental, find wall-to-wall hardwood floors and contemporary design. 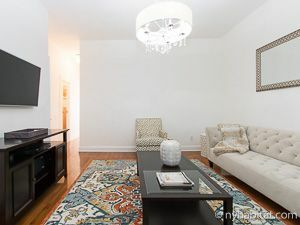 The living room is furnished with a sofa, a flat screen television, and a coffee table. 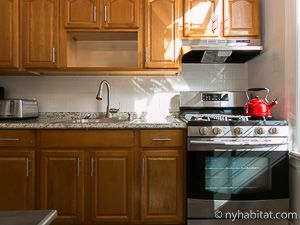 The kitchen offers the necessary cookware and dishware, stainless steel appliances and a dining table. 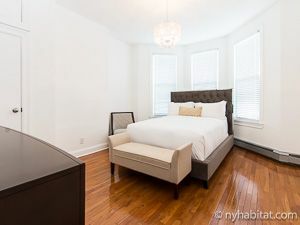 Bedroom 1 and Bedroom 2 both feature a double-size bed and large windows allowing plenty of natural light to pour in. 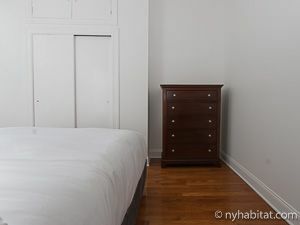 There is a dresser and a closet in both rooms for storage space. 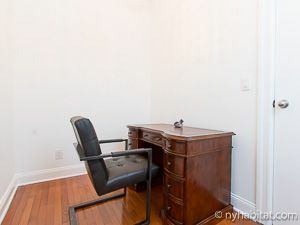 Bedroom 1 has access to an office room with a desk. 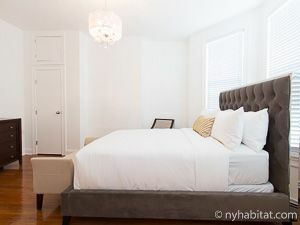 The apartment features an additional sleeping alcove with a double-sized bed (Living Room 2 on the floor plan).